Nixon Car Spares makes it easy to find the best price for your scrap car. You can get an instant quote to sell your scrap car online. It's free to get a scrap car quote and there's no obligation. We buy any scrap car, no matter what age, mileage, or condition the car is in. For whatever reason you want to scrap your car, whether it is written off, abandoned or simply reached its vehicle end of life, we will collect it promptly and professionally for free at a time that suits you. 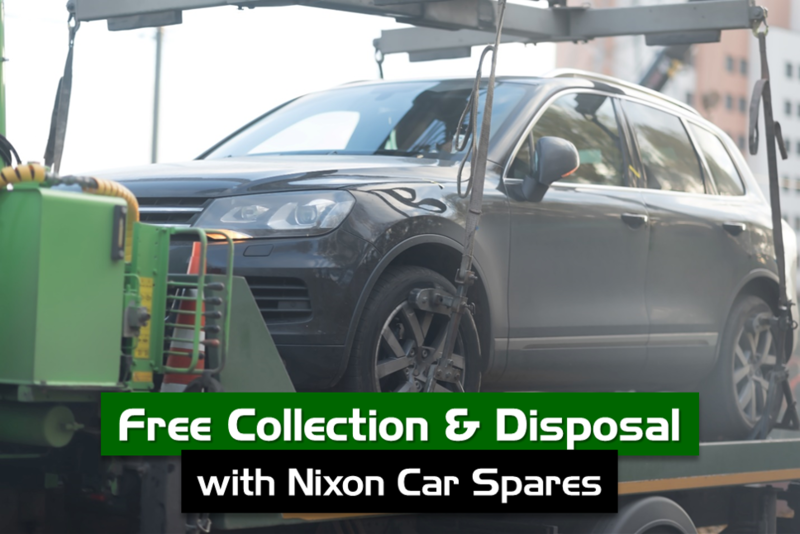 Nixon Car Spares is a fully approved and authorised treatment facility for the disposal and recycling of End-of-Life Vehicles. Once at our treatment facility you will be issued with a vehicle Certificate of Destruction (CoD) and you will no longer be responsible for the vehicle. We will take care of everything else including all the paperwork and de-registering the vehicle with the relevant authorities. End of life vehicles are handled in the most environmentally responsible manner and in accordance with the relevant legislation. We extract all the operating fluids, and remove batteries, wheels and hazardous parts. It's free to get a quote and you'll instantly see the best price for your scrap car. Just enter your reg and postcode! Free scrap collection and recycling of cars, vans and other vehicles at a time and date that suits you. Get paid a competitive price on the same day as collection. And there are no fees when you sell your scrap car with us!